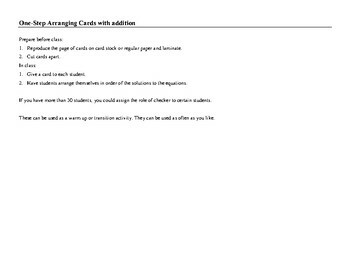 Each student is given a card with an equation. 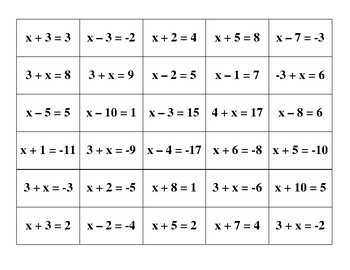 The objective is for students to arrange themselves so the solutions to their equations are in numerical order. Good transition or warm-up activity. May be used multiple times.